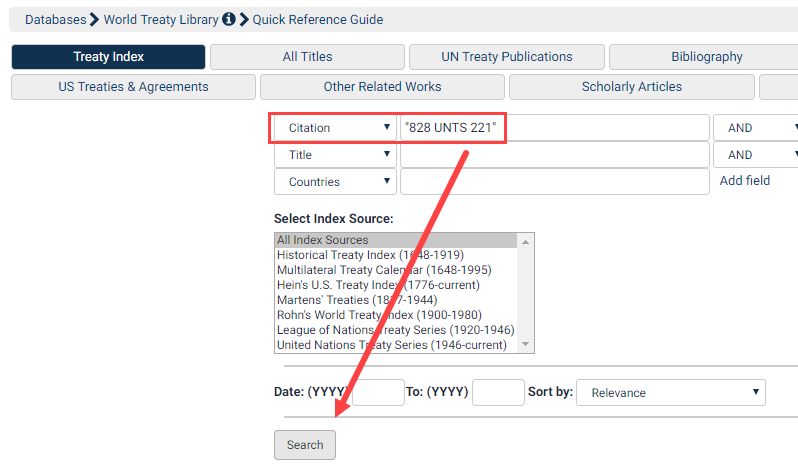 From the World Treaty Library page, select citation from the first drop down box. Then enter your citation in quotation marks in the second box. Click on search.